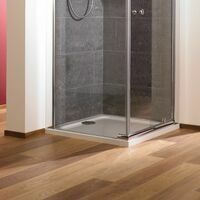 Shower trays are a very practical solution to the drainage of water and for the arrangement of a bathroom or wet room. An alternative to the shower basin, the tray allows for the creation of an infinitely customisable space. 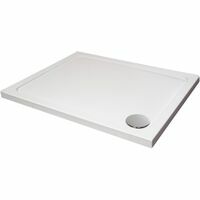 Integrated shower tray, under-tile shower tray or concealed shower tray? 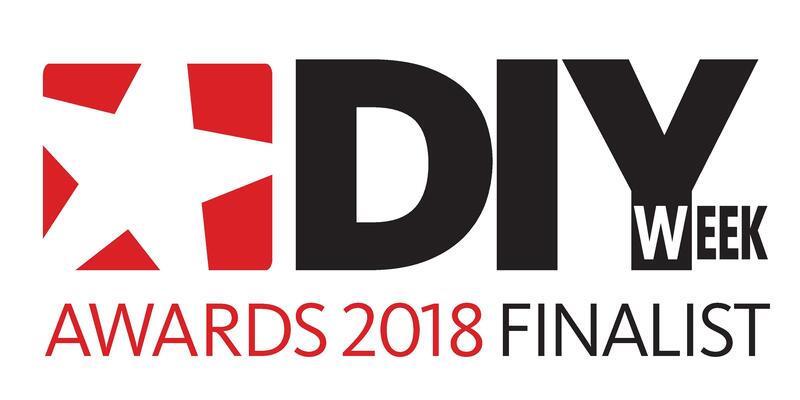 The concealed shower tray allows for a direct and easy level access to the shower, with no step, and it requires some work to dig into the floor and install a floor syphon with vertical drainage. 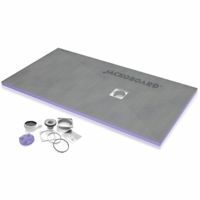 The integrated shower tray, as its name suggests, can be installed directly on the floor or on a brick support, or even on a concrete or polystyrene base. It requires the installation of a plughole and of a drainage system. The under-tile shower tray is the best fitting for the notorious walk-in shower. 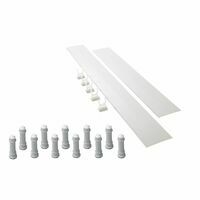 The under-tile shower tray can be raised or concealed in a walk-in shower. This type of tray requires a very precise technique for the installation to be perfectly watertight. The walk-in shower has been without a doubt the major trend of the past few years in terms of bathroom design and decoration. However, a walk-in shower may not be the best fit for any type of wet room. In fact, in order to install a walk-in shower it is necessary to carry out some excavation works that cannot be performed in older houses. The easier alternative would be to install a shower basin, similar to an integrated shower tray, that follows the refined modern aesthetics of the walk-in shower tray. To finish off a walk-in shower, the best option would be an extra flat integrated shower tray. 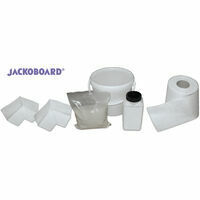 The materials can vary from plastic to resin, stone, ceramic and many more. Take the measurements of the space at your disposal beforehand. 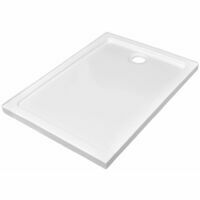 Shower trays are available in all sizes and shapes: squared, rectangular, rounded. There are however some standard sizes: from 60x60 cm to 100x100 cm for the squared trays, from 75x100 cm to 90x120 cm for the rectangular ones. Before installing it; you need to figure out the discharge system! It is essential to install the discharge system with the right syphon that will allow for the correct discharge of the water. 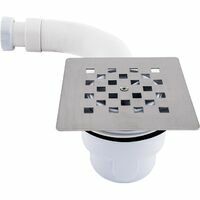 For certain models, the plughole kit is included and the syphon is already connected to the tray. Furthermore, it is essential to have a slope of at least 2 cm/m. Another essential element: when it comes to sealing your shower, the syphon needs to be installed with care in order to be perfectly fixed. You should also make sure that the walls are watertight.